The St Malo to Portsmouth ferry route connects Saint Malo, a port city in Brittany in northwest France to Portsmouth, a port city in Hampshire, on the south coast of England. The route is operated by Brittany Ferries. There are up to 7 crossings per week and the crossing time is approximately 8 hours and 50 minutes. This route accepts vehicles and foot passengers. Pets can also be booked on this route. 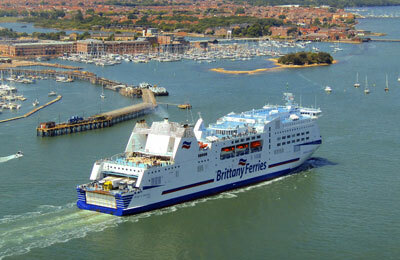 With AFerry we always give you our best prices for ferries from St Malo to Portsmouth. No matter which page you book from we always include all our special offers. And there is no need to look for a discount code. If we have an offer available, your ferry price will include the reduction or offer. There's no need to look at other websites. 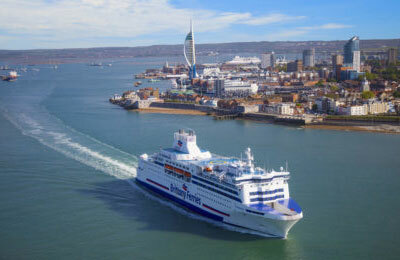 If you're not sure if the St Malo to Portsmouth route is right for you or you can't decide between ferry companies, if there is more than one, you might also find it useful to read any reviews we have available. We ask all our customers to send us reviews for St Malo to Portsmouth ferries. Remember though, that the earlier you book, the cheaper prices normally are. So don't spend too long deciding! 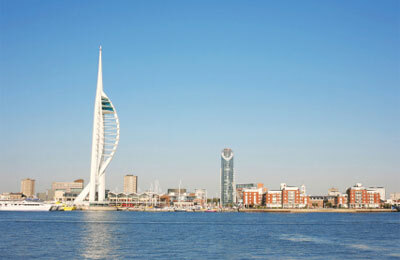 St Malo to Portsmouth is a popular route, so we advise you to book as soon as possible. A long, but pleasant crossing. Last time we were in this part of France we drove to Dieppe for a cheaper crossing. However it took several hours to drive there, nearly an hour to exit the boat and pass through customs followed by a horrendous trip round the M25. I decided to splash out on the more exspensive St Malo-Portsmouth route this time, but I have no regrets. Checking in was easy and we were tucking into a tasty and reasonably-priced breakfast before the ship had left port. There was enough to keep the kids busy (even for nine hours)- they liked the pantomime in particular. We had another great meal before we got off the boat, which meant we managed to drive all the way to Sheffield without stopping. I think it's highly-likely we'll use this route the next time we come to Brittany. We booked a Commodore cabin and I have to say it was nicer than some hotel rooms we have stayed in. Plenty of space, kettle, fridge, seating area, balcony... breakfast included and served in the cabin. We ate dinner in the restaurant and the food was superb. The crew were extremely helpful and friendly. We will definitely travel with Brittany Ferries again.